If you'd like to learn more about this legislation, click here to read a post about it from the Outdoor Alliance. The Outdoor Alliance has also created a portal that you can easily use to write your representatives. To support the renewal of this important legislation, click here. --On Saturday, September 26th, there will be an event in Tacoma celebrating the life of AAI Guide Liz Daley. Liz was tragically killed in an avalanche last September. This event is a fundraiser to build a climbing park called Liz Rocks at Point Defiance Park. To read more, click here. 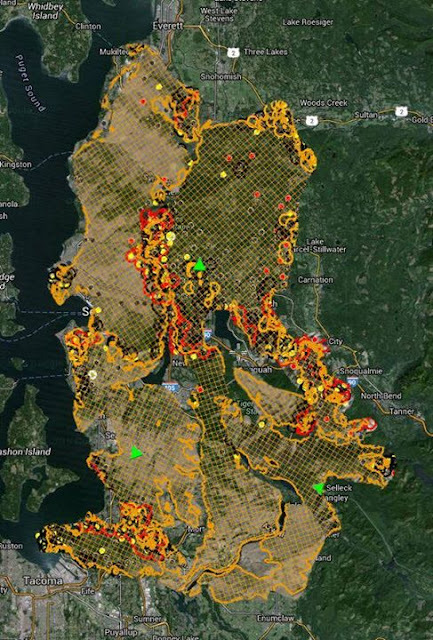 This is a map of the Puget Sound with the fires overlayed on top of it, just to give you an idea of how much has burned. Fires essentially cover Everett to Tacoma. See more, here. --Some are wondering how this has affected AAI programming. Rest assured, AAI has a lot of commercial operating permits and as such we are just avoiding areas where there are fires. --With wildfires straining resources, Washington officials say that for the first time in state history they're coordinating help from residents who have and can operate equipment like backhoes and bulldozers to dig fire lines. The Department of Natural Resources says its command posts have been inundated with offers. Public Lands Commissioner Peter Goldmark says his agency appreciates the support, but he wants the fire officers on scene to be able to stay focused on actually fighting fires. To read more, click here. --Washington Fire Lookouts are being impacted by the fires too. It looks like two have been burned and three more are threatened. To read more, click here. --A disastrous year is unfolding in 2015 for North Cascade glaciers, if normal melt conditions continue the range will lose 5-7% of its entire glacier volume in one year! To read more, click here. --Paul McSorley, Mayan Smith-Gobat, and Ines Papert recently put up a new mixed line on the remote Southwest Buttress of Mt. Waddington (northwest summit) in British Columbia. To read more, click here. --British big wall climber, alpinist and writer, Andy Kirkpatrick recently soloed the Sea of Dreams (A4+, 5.9, VI) in Yosemite. To read about the ascent, click here. 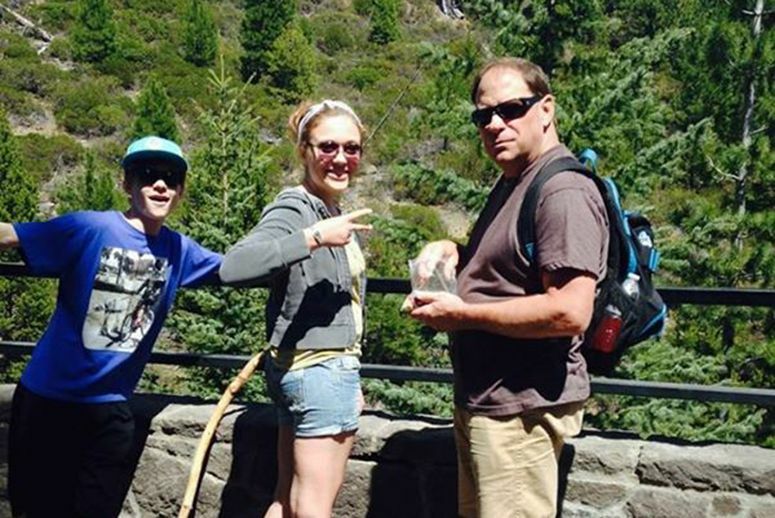 --So this woman plans to eat nothing but bugs on El Cap. -- It was announced this week that there are going to be several changes in Mammoth Resorts’ Executive Management Team. Greg Dallas, Chief Operating Officer for Mammoth and June Mountains, announced his resignation and will be leaving the company this fall to pursue other endeavors. To read more, click here. --Moab, Utah is one of the most popular outdoor meccas in the western U.S. Boasting national parks, incredible rock climbing, and world famous mountain biking trails, the Moab region attracts millions of visitors every year. Moab is also home to significant oil, gas, and potash resources, some of which are adjacent to the Colorado River or to campgrounds and climbing areas. In the past, the nearly million-acre region was managed with a plan that offered numerous oil and gas leases in areas adjacent to protected landscapes, including Delicate Arch in Arches National Park. In response, President Obama and former Interior Secretary Ken Salazar decided to develop a process to help balance conservation, recreation, and development in this important area. To read more, click here. --Nine volunteers from Mountain Rescue Aspen spent the night with a 55-year-old climber from Milwaukee who was injured after falling 25 feet near the summit of Pyramid Peak Friday. To read more, click here. --On Saturday, a large group of climbers gathered in Rifle Canyon in remembrance of Dave Pegg (1967-2014). This iconic climber was a force in the Colorado climbing community and will be missed. To see some photos of the event, click here. --Two women died when they fell about 200 feet while trying to climb a mountain in Grand Teton National Park in Wyoming. The National Park Service says the accident occurred around 11 a.m. Saturday on the 12,300-foot Teewinot Mountain, the sixth-tallest peak in the Teton Range. To read more, click here. --An injured rock climber dangling from a rope, lost and injured hikers and campers, and a lost canoeist were among in dire situations recently helped by state Department of Environmental Conservation forest rangers in the Adirondacks. To read more, click here. --It's easy to forget sometimes that if you don't pay attention to the mountains that many people have no idea what's going on with this fire season. A San Francisco based blogger notes, that Everything is on Fire and No One Cares. It's our duty to make sure non-mountain people know what's going on too. This is a big deal. --How young is too young for Mount Everest? It appears that a 12-year old will be attempting the mountain next year. 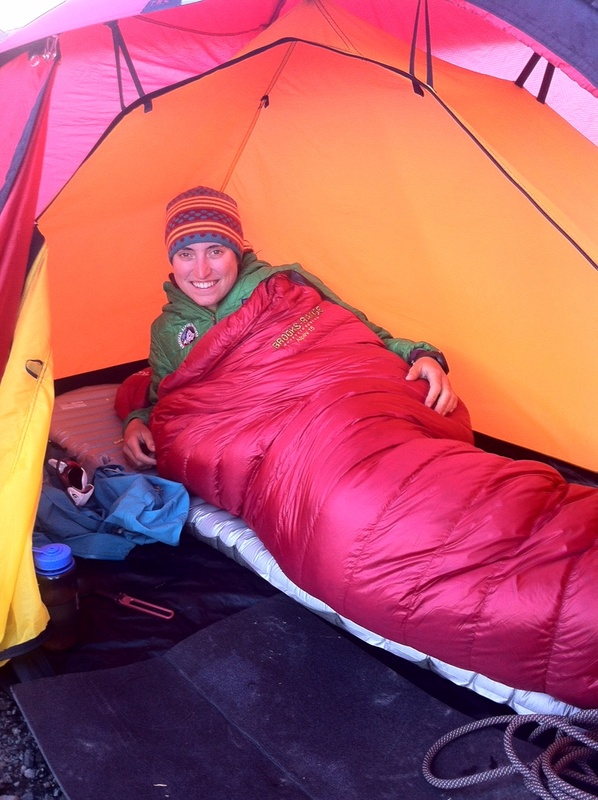 Expedition writer Taylor Zajonc has written an editorial about this attempt. To read the editorial, click here. --Nepal is reopening Mt. Everest for mountaineers after a massive earthquake hit the country in April. To read more, click here. -- Scott Bennett and and AAI graduate Graham Zimmerman climbed a new route on K6 West, a 7,040-meter (23,097-foot) peak in the Karakoram that had only received one other ascent. To read more, click here. --Do killer grizzly bears deserve to die? --An individual has confessed to starting the Hull fire in Idaho that broke out Wednesday. Carrie Bilbao, a spokeswoman for the Bureau of Land Management in Boise, said the fire was caused by a mountain biker who burned toilet paper after making a restroom stop. To read more, click here. --California officials say a child camping in Yosemite National Park fell ill with plague and was sent to a hospital. 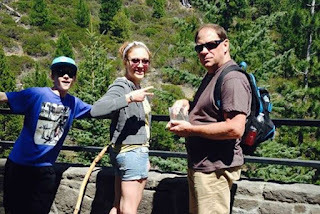 The state’s Department of Public Health said Thursday that the family from Los Angeles County camped at Yosemite’s Crane Flat Campground in mid-July and visited other places in the Stanislaus National Forest. No other family members became sick, and the child is recovering. To read more, click here. --The federal Land and Water Conservation Fund may expire soon. The fund supports projects at conservation areas across Southern Nevada, such as Red Rock Canyon and the Moapa Valley National Wildlife Refuge. Over five decades, the fund has paid for some $100 million worth of conservation efforts in Nevada. To read more, click here. --Crested Butte Mountain Resort (CBMR) is looking towards the future, and the future means a major expansion of 500 acres for skiing, riding and biking. Their proposal calls for two new chairlifts, a replacement of the North Face surface lift, more snowmaking on current ski terrain, and 15 miles of singletrack trail to add to the resort’s Evolution Bike Park. Recently, the resort received a letter from the US Forest Service’s Grand Mesa, Uncompahgre and Gunnison National Forest District Office initiating an environmental review of the project, stating that they are “officially accepting project proposal components [in accordance with] the 2013 Master Development Plan”. To read more, click here. --Two employees of an Alaska backcountry lodge startled an adult grizzly bear while running on a trail in Alaska's Kenai Peninsula. The bear stepped out of thick brush and mauled one woman while the other ran for help. Gabriele Markel, 20, was recovering last week at an Anchorage hospital. Her wounds, which authorities described as bites and scratches on her head, back and arm, weren't considered life-threatening. To read more, click here. 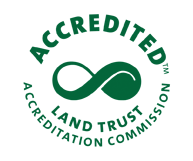 --Access Fund has been awarded land trust accreditation from the Land Trust Accreditation Commission, an independent program of the Land Trust Alliance. "Land Trust accreditation is an important milestone for the Access Fund," says Access Fund Executive Director Brady Robinson. "It helps strengthen our land acquisition and protection program and it illustrates to local climbing organizations, landowners, and partners that Access Fund is the leading organization in land conservation standards, tools, and resources when it comes to protecting and stewarding America's climbing areas." To read more, click here. --The remains of two young Japanese climbers missing on the Matterhorn mountain since a 1970 snow storm in the Swiss Alps have been identified through DNA testing of their relatives, police said on Thursday. Human bones spotted by a climber last September on a shrinking glacier at an altitude of 2,800 meters were sent to the medical examiner for identification, cantonal (state) police in the Valais said. To read more, click here. --The U.S. Forest Service projects that the cost of fighting wildfires could rise to $1.8 billion in the next decade, reflecting fire seasons that "have grown longer and more costly," the agency said this week. The wildfire season is now an average of 78 days longer than it was in 1970, the agency said, and the frequency, size, and severity of those fires has also increased. The report attributes that to climate change. To read more, click here. 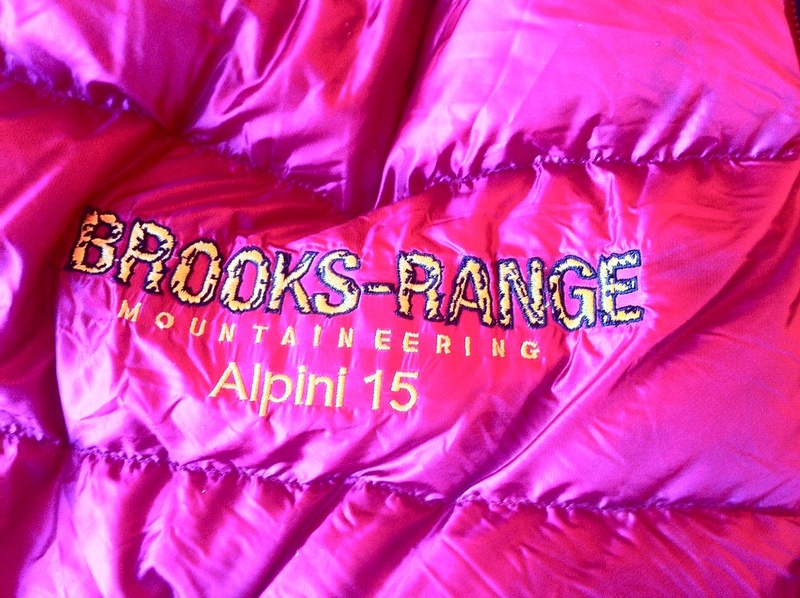 --Camp has recalled two types of crampons, the Blade Runners and the Nanotech crampons. To read more, click here. --This is a cool portaledge. Picture this. You are on the second day of your trip up into the mountains. It’s hot. You’re hungry. The bag of potato chips you have stashed in your tent is sounding mouth-wateringly good right about now. You’re just coming off the Deming Glacier, practically dragging your ice axe as you stumble, mind in a haze, towards the alluring potato chips ­– your post summit prize food. You unzip your tent, fingers trembling, and find to your horror a pile of confetti in the corner next to a scraggily looking hole, sunshine filtering through the tatters of your tent. Do not, dear reader, become this sad climber. 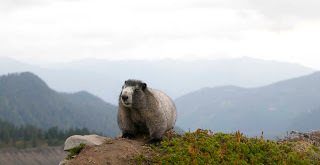 Marmots, mice, and ravens are a real hazard when it comes to food in the backcountry and I wager, have had years more experience thieving than you have likely had in protecting your food from their greedy little mouths. I myself woke up recently to not one, but two mice in my tent having a nice little feast on my food bars, which I had set aside for the summit the next day. One even had the audacity to run over my face. This was not fun. That being said, here are some things to do and some things not to do with your food in the alpine. - Do not hang your food from rocks in an attempt to mimic food protection from bears in lower country. This seems to be a common recommendation on the Internet at the moment. However, I personally see a few flaws in the system. Firstly, marmots can climb rocks and so a small boulder simply wouldn’t do. This means you would need to hang your food over a cliff and a) that sounds like a lot of effort/potentially sketchy and b) ravens, being birds, can in fact fly and they will get it even if the rodents don’t. So, nix the “marmot bag” option. - The best option I know of is to store your food inside your tent. You might be wondering why I would suggest such a thing when we have already learned about the confetti threat but there are ways to store it properly and ways to store it improperly. For starters don’t leave your food along the walls of your tent. You would be significantly increasing the risk of an animal chewing its way inside. What you can do though is put your food in your sleeping bag (which reduces smells) and place the sleeping bag as centrally in the tent as possible. So far, I have not had any issues while employing this technique and it is one that seems popular among the crowds that frequent the mountain slopes. Note: at night you still should try to keep your food away from your tent walls and zip the door closed at the bottom. - You can also dig a cash in the snow and burry your food there if you are concerned with the possibility of animals chewing into your tent. This is a perfectly reasonable option when there is snow at the camp. However, if you employ this technique be sure that you dig down fairly deep. A foot simply doesn’t cut it. Three feet would be a minimum depth for proper storage, but even that might be too shallow. Four to six feet is best. Don’t forget to mark the location of your cash. Losing your food would be just about as bad as it being eaten. Good luck with the food ventures! Remember, don’t be the sad climber with out his potato chips. Have you heard about efforts in Western States, including Washington, to transfer federal public lands to the state? A campaign to transfer public lands to state control threatens hundreds of millions of acres of national forests, rangelands, wildlife refuges, wilderness areas and historic sites across the Western US. This public land heist threatens the landscapes we love and the notion that public lands belong to everyone. America’s craggy mountains, golden plains, and rivers belong to all of us, whether we live in New York or Montana, whether we visit these places weekly or hope that our children will someday see them. Imagine if the place where you love to hike, climb, paddle, ski, bike, or camp were suddenly sold off for profit, or to cover the cost of a wildfire or drought. Once our mountains, forests, and rivers are gone, there’s no replacing them. To read more, click here. To sign a petition to stop this, click here. --This is a very interesting graphic that shows Mt. Baker in 2013 in early July and Mt. Baker in 2015 in early July. The lack of snow in 2015 is insane. property on Facebook. Over 53,000 people have shared the photo. --Hikers, rock climbers, bird-watchers, and folks who want to watch water cascade over a 97-foot-high cliff are frequent visitors at Tumalo Falls Park in Oregon’s Deschutes National Forest. Allegedly, so are vandals—a whole family of them who etched their names into a railing in the park. That’s what resident Brett Nelson spotted while trekking through the park, which is about 25 miles west of Bend, last Saturday afternoon. Thanks to Nelson’s savvy use of social media, the faces of the three individuals—a dad and his two children—have been blasted out for the world to see. Given the photographic evidence, the U.S. Forest Service is now on the hunt for them. To read more, click here. --After the rockfall incident in Yosemite, the Regular Northwest Face of Half Dome has been re-established. To learn more, click here. --The U.S. Forest Service’s Pacific Southwest Region is sharing its draft proposed species of conservation concern (SCC) lists as part of the land and resource management plan revision process for the Inyo, Sequoia and Sierra National Forests. We are asking for public input that provides additional scientific information that may affect the draft proposed SCC lists. To read more, click here. --There were a couple of backpacking SAR issues in the Sierra this week. To read about them, click here. --President Obama announced last week that he is designating three new national monuments, according to a White House press release. The new monuments will protect over one million acres of public land. The monuments include Berryessa Snow Mountain in California, Waco Mammoth in Texas, and Basin and Range in Nevada. To read more, click here. --Echo Mountain ski area in Clear Creek County, Colorado announced that it will reopen to the public this December. The 226-acre ski area closed to the public in 2012 when it was purchased by Nora Pykkonen, who converted it to a ski-racing training facility that focused on school-aged kids. Pykkonen now hopes that by reopening, they can extend the ski hill’s hours as well as build more opportunities for ski training at the mountain. To read more, click here. --The Access Fund recently issued an article on "The Good, the Bad and the Ugly" on NPS bolting rules. These rules were all supposed to fall in line after Director's Order #41 removed the threat that bolts would be banned in wilderness. To read the article, click here. --The family of an 11-year-old boy has filed a lawsuit against the YMCA of South Florida after he fell nearly 40 feet from the top of a portable rock-climbing wall that is owned and operated by the Weston YMCA. The lawsuit alleges that the staff at the Weston facility were not properly trained, supervised or monitored in the operation and use of the climbing wall and the equipment. To read more, click here. --The general manager for Maine’s Saddleback ski area said Friday the resort has extended its self-imposed deadline by a few days for securing $3 million in financing for a new chairlift. On July 20, Saddleback’s co-owner Mark Berry announced the ski area would cease winter operations if it could not secure $3 million in financing needed to purchase a new four-person chairlift to replace the aging double chairlift that currently services much of the resort’s intermediate terrain and provides access to the resort’s upper chairlift, the Kennebago Quad. To read more, click here. --The world-renowned Italian climber Reinhold Messner was among the first to scale Mount Everest in 1978 without bottled oxygen and was the first person to climb all of the world’s 14 mountains higher than 8,000 meters (26,247 feet). In recent years, the 70-year-old adventurer and author has also built a physical legacy that consists of a half-dozen Messner Mountain Museums. These interdisciplinary spaces located throughout South Tyrol and Belluno in northern Italy are devoted to exploring the nature and culture of mountains and those who love to climb them. To read more, click here. --Many state associations and the National Ski Area Association tally snowsports visits, or one person skiing/snowboarding one day (or night). Total snowsports visits is an important indicator of the overall volume of people participating and the total business levels of a ski area - when more people visit to ski and ride, more hamburgers and beers get sold, more lessons get taught, and more tall tees and beanies leave the retail store racks. According to National Ski Areas Association, the total number of snowsports visits in the US for the 2014/15 season was 53.6 million--more than three times as many as the number of people who attended NFL games in 2014. To read more, click here. This is a solid and durable bag for climbing and backpacking in the mountains. Filled with 850-fill down, this 15-degree bag has consistently kept me cozy and warm on summit climbs of Mount Baker and throughout the Cascades. This bag isn't ultra-lightweight, but it's still lighter than most synthetic models and weighs in at 2 pounds. Most of all, this bag is just plain COMFY. There's a halo around the collar that helps trap heat and cocoons you as you sleep, and the hood cradles your head without making you feel claustrophobic. The bag maintains loft well and there's plenty of room in the footbox to dry out wet boot liners. My only complaint is that the zipper has the tendency to snag, so be careful with it when you're opening and closing the bag. 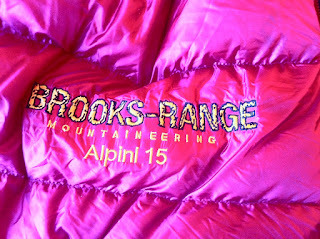 *Disclosure: I received this bag directly from Brooks-Range Mountaineering in exchange for writing a review on this blog.